What lessons will be learned from the shooting dead of two local fishermen at the Komodo National Park, managed by US-based conservation organisation, The Nature Conservancy? 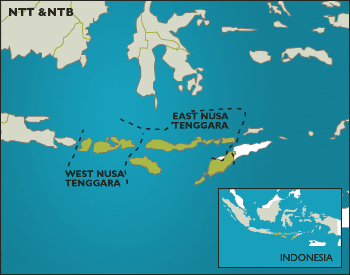 On the night of November 9th 2002, security personnel at the Komodo National Park in East Nusa Tenggara province, approached a small group of boats suspected of illegal fishing activities. US-based mining giant Newmont has launched an aggressive attack on environmental group WALHI, over accusations of damage to human health at the company's gold mine at Ratatotok, North Sulawesi. In January WALHI announced the results of blood tests on 20 people living at Buyat Bay, near PT Newmont Minahasa Raya's mine. The people had all complained of deteriorating health during the past three years. Blood samples, taken by WALHI North Sulawesi and JATAM and analysed in a US laboratory, showed high levels of arsenic and mercury. Newmont, the US-based mining company, has again come under fire at both its operations in Indonesia. In North Sulawesi PT Newmont Minahasa Raya (80% owned by US mining giant Newmont) was forced to shut down operations at its Ratatotok gold mine three times in as many months. Former land-owners mounted a series of blockades an demanded compensation for land taken over by the company.